Miranda is a rare, 100% hand-tied monofilament part / lace front style from Jon Renau. This style has light, slightly waved layering for a soft, flirty look. - Front: 10.25", Crown: 12.5", Sides: 11", Nape: 12"
Miranda is a graceful and completely girly style with a wallet-friendly, comfort-focused cap construction, and natural volume. Sophisticated, long layers make a powerful statement. The 100% hand-tied SmartLace lace front looks like a natural hairline, and the left-side monofilament part allows the part to be moved slightly, and has a natural look. 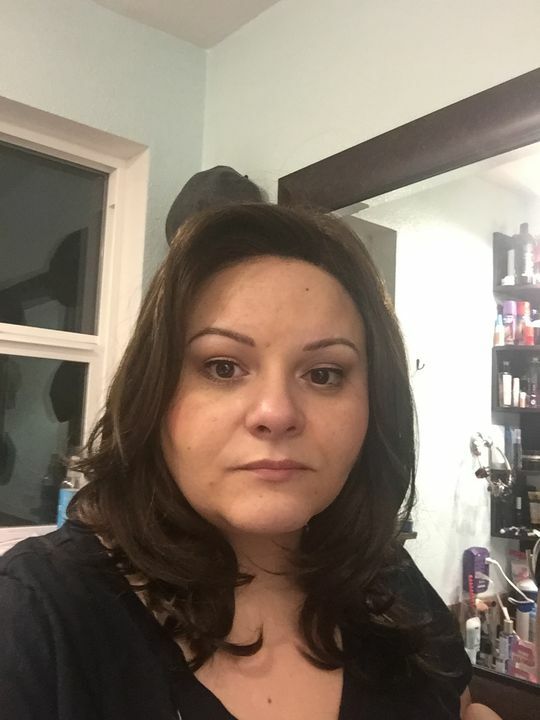 Carrie T. Reviewed by Carrie T.
This was my first Jon Reanu wig and after reading so many rave reviews was excited to receive "Miranda." Definitely not what I expected. I ordered 12FS8. The good: beautiful blond color, style, and hair fiber (very soft and natural). The bad: AWFUL lace front. Large dark knots made the front look like an implant job gone wrong. All I could think of was people awkwardly staring at my hairline, while trying not to. I thought of keeping Miranda and cutting bangs to hide the lacefront, but the whole point of a lacefront is having the option of styling away from the face, so I returned her. To date, my favorite (most natural looking) lace-fronts are Rachel Welch and Estetica because the tiny knots and lace blend right into the forehead/hairline. Estetica defeats Rachel Welch in my book because the cap is more comfortable for my average/large head, and the hair does not tangle and frizz like RW's heat defiant hair. However, it should be noted that all three of these wig designers offer beautiful color options. Deanna C. Reviewed by Deanna C.
Love wig and love style. I wear wig almost every day and the fibers do get a little dry after a week of wearing. A wash softens them up. Only issue is same thing we are all warned about with long wigs I.e they can matte at the nape. My tip is I always put my hair up in a clip when in car to avoid friction. Wig is great price point for longer wig with lace front and mono part. Very comfortable to wear as well. I would purchase again. I wore this wig out with some girlfriends. They all thought it looked great. When I put this on for the first time, it felt like me! When I had hair I would style it like this, and I often wore it long. I have only worn this wig that one time but it wore well. I am pleased with it.